Winter Goddess Foods: Ginger....getting to the root of the matter. Ginger is the seasoning that gives life to a host of dishes. But it doesn't stop at just a great addition to your culinary pursuits. Ginger has been used medicinally for more than 2,000 years. It is best know for its soothing effects on our gastrointestinal system. In other words, it soothes an upset stomach. It is well known as a remedy for travel sickness, nausea and indigestion. 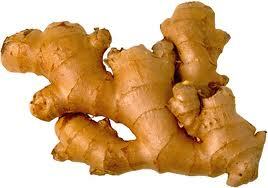 Ginger also boost circulation, lowering high blood pressure and is used as a blood thinner. Got a cold or the flu? 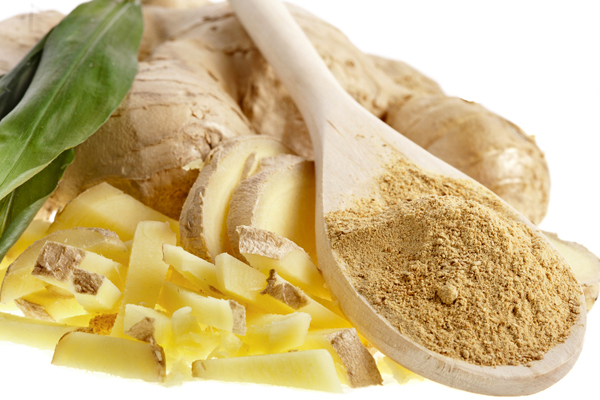 Use some ginger and feel the warming effects of Ginger to sooth your symptoms. Because of its powerful anti-inflammatory effect, there has been much recent interest in its use for joint problems. A few small studies have shown some promise for supplemental ginger in the treatment of both osteoarthritis and rheumatoid arthritis. In traditional medicine, doctors normally prescribe Indomethacin, an anti-inflammatory drug commonly used to treat the pain from inflammation of gout, rheumatoid arthritis, and osteoarthritis of the knee. Studies comparing the effect of ginger extract with Indomethacin consistently show that ginger is, at a minimum, just as effective, and sometimes even more so. Ginger accomplishes this without Indomethacin's adverse side effects. Medical studies have demonstrated ginger's ability to defeat several types of Cancer cells, including some of the most aggressive and difficult to treat: lung, ovarian, colon, breast, skin carcinoma, prostate, and pancreatic. PLEASE NOTE: Ginger does interact with a number of medications including: all heart medications, diabetes medications (including insulin), Warfarin, Blood thinners, Aspirin, Ibuprofen and most Non-steroidal anti-inflammatory drugs (NSAID's). If you are taking any of these medications, you may want to consult a medical professional first, before adding Ginger to your diet.